Once a home beermaker gets beyond the teething stages of learning his craft, he quickly begins to understand the importance of having only the very best beer brewing kettles at his disposal. 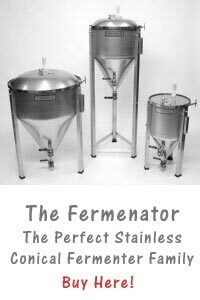 Stainless steel brewing equipment is durable and made to last a lifetime. It’s also the optimal choice when it comes to making sure your beers stay pure and uncontaminated throughout the entire brewing process. 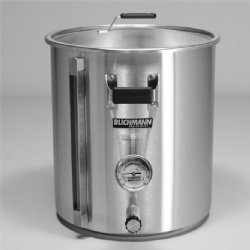 The right stainless steel brew pot is quite simply the Holy Grail of homebrewing as far as the serious homebrewer is concerned. However, understanding that the right steel brew kettles are must-haves and figuring out which one is the right one for you are two different animals. If you’re going to invest in premium brewing equipment, why not make it the kettle that’s being hailed as the king of all brew kettles? 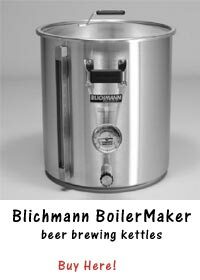 We’re talking about the one and only BoilerMaker from Blichmann Engineering! Heavy duty, custom built stainless steel construction that’s built to last.